ams has announced the introduction of the latest products in its NanEye family. The NanEyeM and NanEyeXS will enable the production of high-performance, single-use endoscopes for use in minimally invasive surgery. The new 1mm2 NanEyeM offers a high-resolution 100kpixel readout over an LVDS digital interface at a maximum rate of 49 frames/s at 62MHz. The NanEyeM, which is supplied as a Micro Camera Module (MCM) including a cable up to 2m long, features a custom multi-element lens which greatly improves the effective resolution of the sensor and reduces distortion. Compared to the earlier NanEye 2D sensor, which has a single-element lens, the new NanEyeM offers improved MTF (Modulation Transfer Function) of below 50% in the corners, lower distortion of less than 15%, and lower colour aberration of below Px. 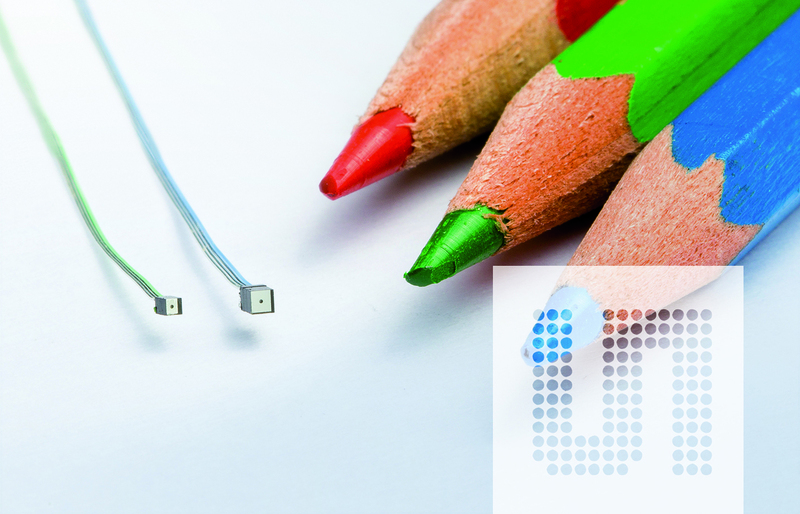 The new NanEyeXS has a 0.46mm2 footprint, making it one of the world´s smallest image sensors. It produces a digital output in 40kpixel resolution at a maximum rate of 55 frames/s at 28MHz. The sensor’s very small size offers significant advantages when developing ultra-small instruments for minimally invasive procedures, enabling the design of surgical devices with a very small diameter, or freeing more space for working channels in larger devices. Like the NanEyeM,the NanEyeXS is supplied as an MCM.